If you’ve been following this blog you may already be aware that I used to be a film maker. 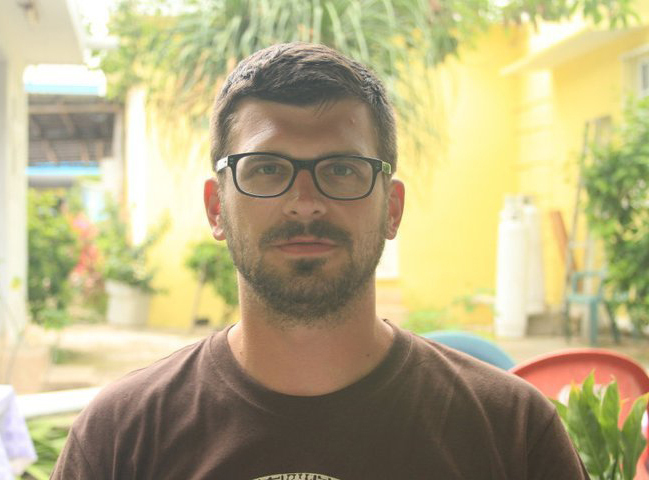 I studied film in college and worked on numerous commercial spots and low budget features. Whenever I find a podcast that looks at a film from a technical creation aspect, I dig into it. 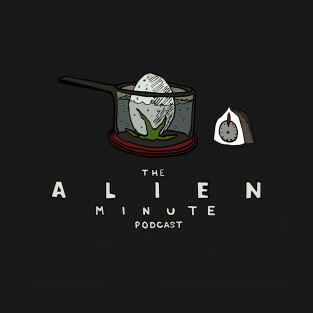 Lately I’ve been enjoying the hell out of The Alien Minute Podcast. The hosts are both working film makers and they bring on industry guests to help analyze the movie Alien, one minute at a time. The format of this podcast is freely lifted from The Star Wars Minute, but the hosts talk more about the art and craft of filming more than just fan boy gushing. Each episode they look at one minute of the film. They talk about character motivations and dialogue and music and camera angles and lighting – all the stuff. 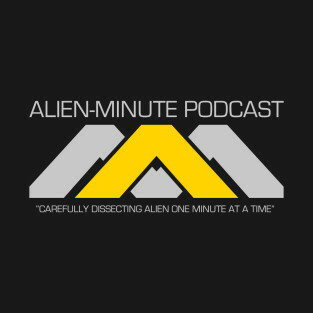 The best way to follow their podcast is to have a copy of Alien handy and watch the minute they talk about right before listening to their podcast. That way the film is fresh in your mind and you can recall what they are talking about when they explain the director’s genius. I saw Alien in the theater with my best friend when we were 14. 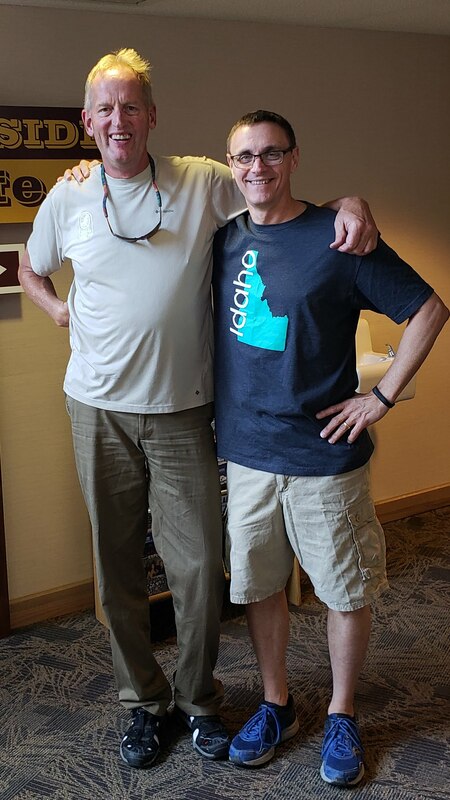 We had both read the novelization before seeing the film because we were Alan Dean Foster fans, and we wanted to know when to duck behind our seats. I spent most of that first viewing behind the seat in front of me. It wasn’t until I was in film school that I really looked at the whole movie and realized how completely awesome it is. If you’re into how films are made, and really love the movie Alien, you need to be following this podcast. It’s top notch. John Ingle and Mitch Brian from The Alien Minute Podcast. I’ve slowly come to the conclusion that Amazon Prime is a better deal than any other service for my need for streaming movies. I have a Netflix account, but it’s only good for TV shows. Every time I need to find a decent film that’s not from this century I am disappointed by Netflix. With Amazon Prime I can either rent the movie or purchase it. The biggest reason I would purchase it would be to study the film’s screenplay structure. As a fiction writer, watching movies for plot purposes is a highly valuable part of my education. Many films and TV shows help me understand various topics I may want to write about or inform me about what has gone before so I don’t repeat it. These days digital lifestyles demand streaming media and at least for me, Amazon Prime is a better fit for movies. I usually watch them on my Dell XPS running Ubuntu. Sometimes I use the X-box that’s already hooked up. Funny, I never play games on our X-box. That’s for the kids. I’ve been making models of one kind or another since I was ten. 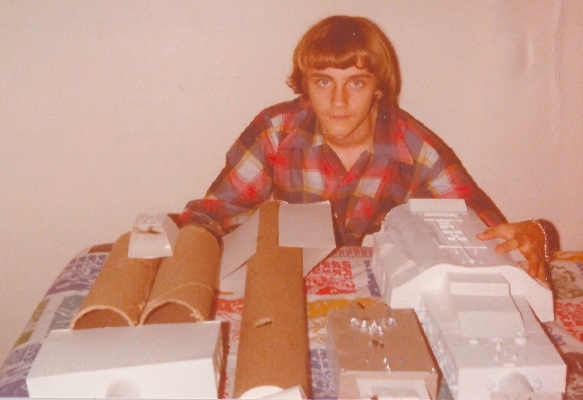 In my teen years I probably built a model every week. I’ve built everything from the USS Constitution to balsa wood flying model airplanes. Tanks, battleships, airplanes and cars, I’ve had my fingers in everything. My specialty was 1/48 scale plastic airplanes from WW2. I had a pretty large collection in my teens. In fact, I built every Monogram and Revel kit at least twice. Some of them three times, as I attempted to make clipped wing and tricycle landing gear versions of the Me-109. Eventually, I’d destroy my older models either from fire cracker death or just because I no longer liked them anymore. But I never threw any of the pieces away. I collected them in model boxes and plastic bins. 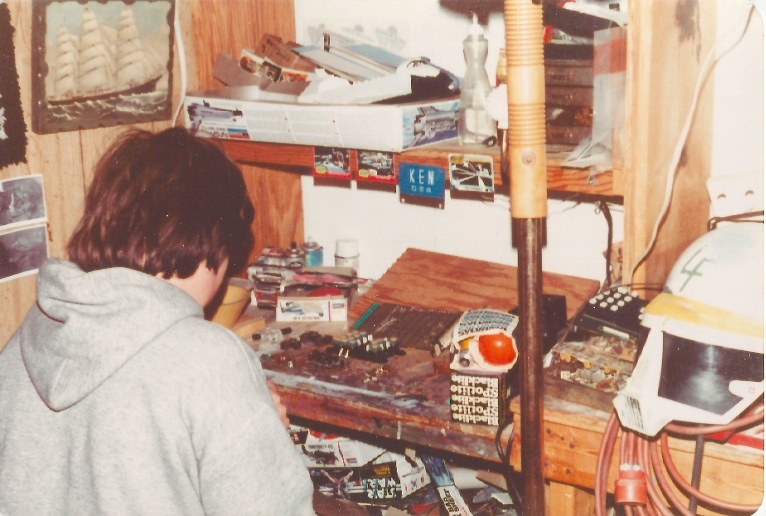 By the time my interests turned to making space ship models for the little 8mm films my friends and I made, I had a model shop in my garage that even ILM would be impressed with. This is a picture taken of me when I was thirteen or fourteen years old in my bedroom. I’m showing off four of the largest spaceship models I had built from my epic Space Opera film that never was, called Galaxy Collision. You may know it better as the second Star Trilogy novel, Starstrikers. The model starships are from left to right; GCU Sokol, GCU Hood, GCU Chariot and GCU Constellation. All of them are made from poster board, cardboard carpet tubes and bits of long dead models. For you younger kids, this would have been circa 1978. Which explains my George Lucas flannel shirt and my Luke Skywalker length hair. My dad’s garage was our model shop. We named it Microcosim which means little universe. My dad was a Ham and he frequently dabbled in photography and wood working and model trains and various electronic projects from radios to flying model airplanes. So we always had lots of cool junk laying around and plenty of room to build stuff. This is my good friend Jason Harrington at my model desk in the garage. 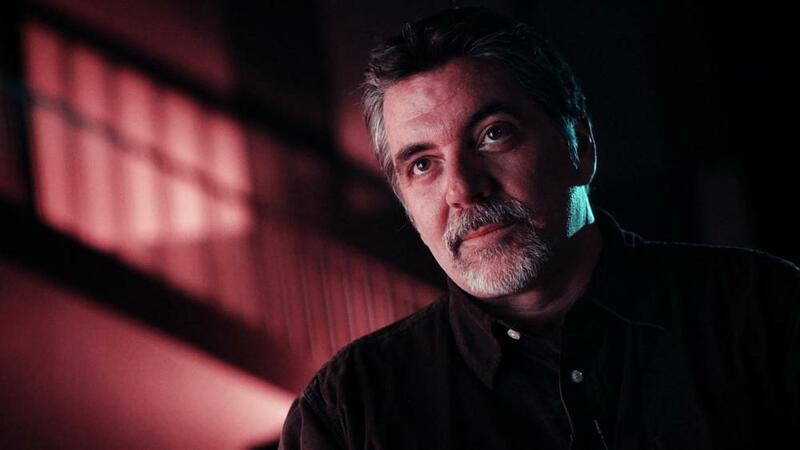 He’s working on something for our epic, ten minute long live action Sci-Fi film, Renegade. There are many interesting objects in this picture. Model airplane boxes and a model X-Wing box and the actual model. The helmet was a stock kid’s helmet we painted up for our purposes. An old keyboard with the keys removed which was a prop in one of our spaceship sets and various model kits including a half-built Space Shuttle model. 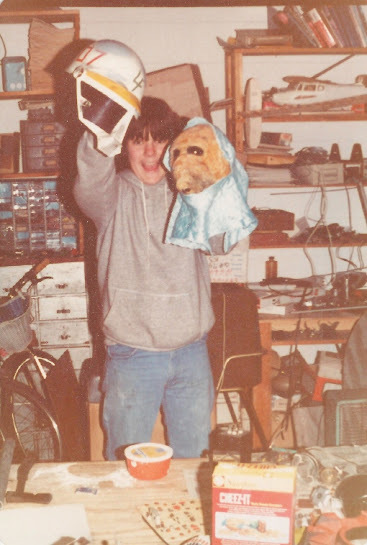 Here is Jason again with that helmet and an alien mask that he designed and built from scratch, just like they did it in Hollywood, with layers of liquid latex. I’ve always loved this picture of Jason. His smile was the very essence of our good times back then, making movies. It also shows off some of the variety of good junk in my dad’s garage. That brown box behind him? That boys and girls, is the old family Black and White TV, recently scrapped. The table before Jason was built for a model train set. By this time, we had taken it over to make sets for our film, Renegade. 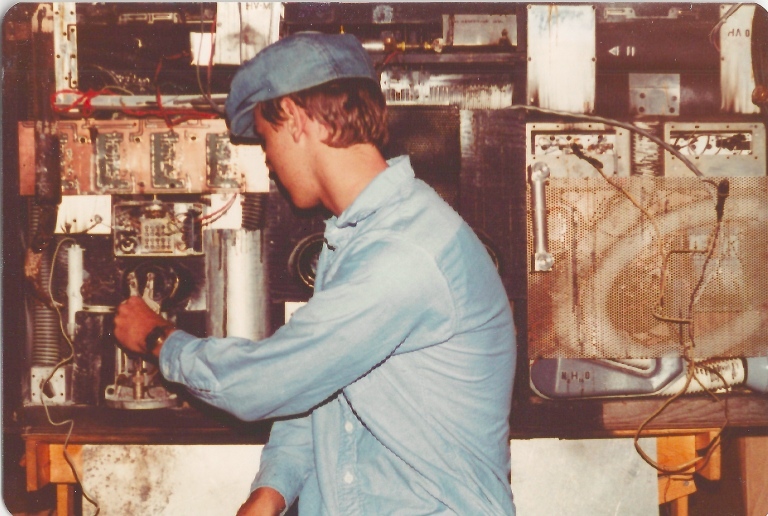 Speaking of sets for Renegade, here’s the interior back wall of the Renoke behind the film’s star – me. I was no actor. But it was a silent film and all I had to do was walk around, shoot bad guys and run. No problem. As you can tell, we made good use of the old radio junk in the garage to build this set wall. I was even dressed in my Joules Rouse costume which included an LED digital watch, because that was just too cool not to be used. Never mind that I was playing a criminal who had escaped prison and probably would not be wearing a golden digital wach. Did you notice my shorter hair? Yeah, I had joined the Civil Air Patrol and had to get a military style haircut. Not a popular look in the late seventies. Stay tuned next time when I’ll show off some models we used in a film we never quite made in college called Mission to Vesta. The Renoke was my first short story sale to an online magazine. It’s a Shaggy Dog story where the payoff is in the punchline at the end. I didn’t realize that was what I had written until someone mentioned it much later. 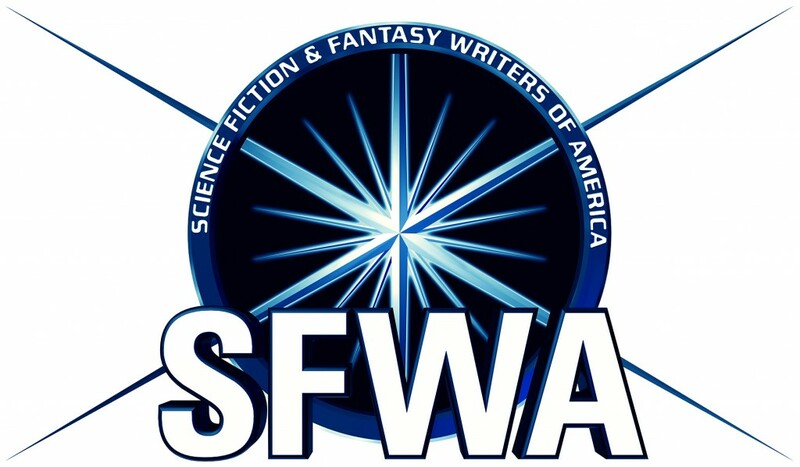 It’s one of my favorite stories and one that really stretched my boundaries as a SF writer. 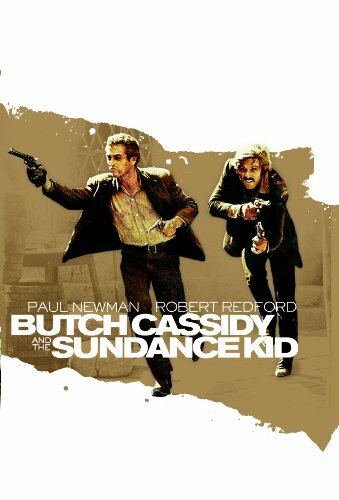 The ship, Renoke and the main character, Joule Rouse were featured in the very first short film my buddies and I shot in Super-8 back in 1979. That was also my film debut as I had a staring role playing Joules Rouse, a smuggler. What? You never saw the film Renegade? That’s probably a good thing. I saved the models we built for the film and the one above is the Renoke starship. Built from poster board, Elmer’s School Glue and little bits of plastic models. Old school modeling man! It’s still one of my favorite starships. Designed and built by Ed Halbig and painted by myself. You can get it free this week on Kindle. Last night I watched the premier of Stephen Hawking’s Sci-Fi Masters series on the Science Channel. Is it just me, or has the best Sci-Fi on TV gone from the Scyfy Channel to the Science Channel? Before the show last night Sci Channel was playing Firefly episodes with teasers in between by Michio Kaku! How awesome is that? Anyway, I enjoyed the show – A Clean Escape, based on the short story by John Kessel. The story had a strong Twilight Zone feel to it, but I enjoyed the performances by the two leads. I’ll tune in again to see how this series does with other classic short stories. I don’t watch too many things on TV these days. I’d like to blame the poor quality of the shows, but the truth is, I wouldn’t know if they are bad or good. I just don’t have time to watch them. 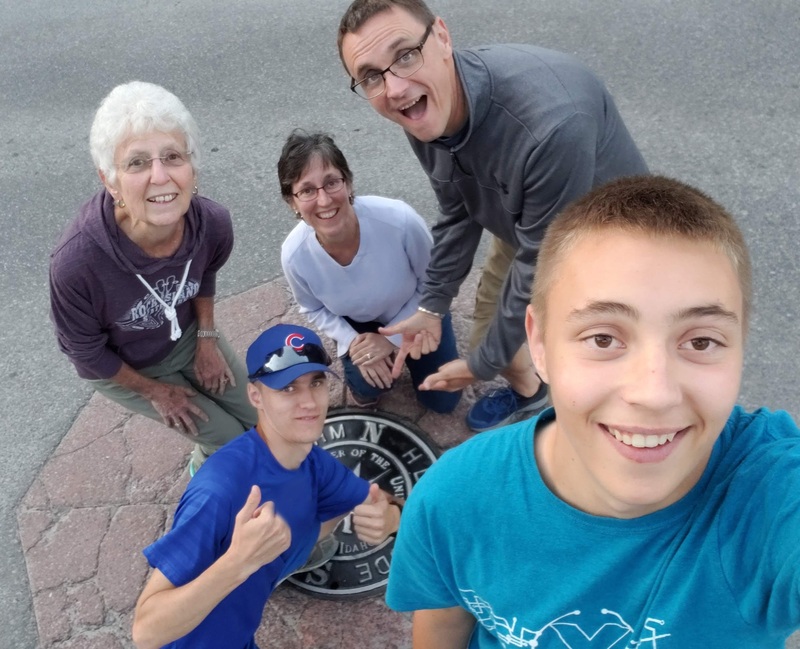 I spend what is normally prime time, being with my kids. Either I’m helping them with homework or ensuring that they are practicing their instrument or learning math facts. Most of the shows on TV now days are not kid oriented, so I’d have to time shift them and watch them after the kids go to bed. Lately, that’s just too close to my own bed time. When it comes down to it, I chose being with my family and reading, over much of what is on TV. So you won’t find me commenting on the social networks about how cool the latest episode of whatever-hot-new-SFF-TV show was. Maybe when the kids are gone and I get my evenings back I can watch more TV. But then I’d probably rather read a good book or go to a baseball game, or go to my favorite bookstore, or take in a concert. You get the idea. I know everyone loves to loath Episode One of the Star Wars series, but here are some of the things I actually liked about the film. I’m not trying to convince you to to change you mind about it, I’m just bringing to light the things that shined for me. Something to think about next time you’re dissing it. First off, E1 is not my favorite SW movie. Not by a long shot. I’ll never be able to defend it in a court of public opinion, nor would I even try. But there are some pretty cool things in that movie. 1. I actually like the politics. When I first saw E1 I was afraid it would be too much like what I was trying to do with my own Star Trilogy of novels. The first book in that trilogy – Starforgers, has a senator as a principle character and some of it takes place in the political arena. I was relieved that Lucas’s senate and mine were completely different. But I still enjoyed that aspect of E1. 2. 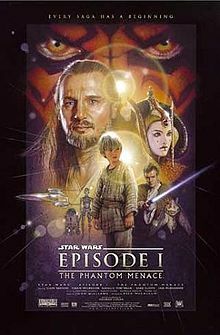 The idea of setting the first three films 20 years ahead of the original trilogy was a good one. It allowed him to visualize the Star Wars galaxy differently, less militant, more hand crafted. I totally got that and enjoyed the production value achieved. It was also something I was trying to do with my own book trilogy, so once again, I related. 3. Imagery: There are some iconic Star Wars images in the first film that few people recognize today. Queen Amidala’s costumes were amazing. The Naboo fighters were yellow, that’s bold and different. Darth Maul’s double sided light saber. The pod race. 4. Darth Maul. He was cool and didn’t die in a lame maneuver like Boba Fett. I also liked that he actually killed a good guy. This scene also mirrors Kenobi’s death in E4. 5. Ewan McGregor’s Obiwan was phenomenal. A spot on performance that hinted at Alec Guinness just perfectly. 6. John Williams’ music was understated but memorable. Duel of the Fates. 7. The anticipation. Most of us of a certain age, past 40, had to wait a long time to get our new fix of Star Wars. It was hard to not get goose bumps when the main titles rolled again. Few of us tend to remember how exciting that was. I remember. 8. It was the last non-digital Star Wars movie made. If memory serves. E2 was the first film shot entirely in digital, with no film. As a former filmmaker, this was important to me. So you see, there are some redeeming qualities to this movie. We all know and love to hate the bad things about it, so no use rehashing them. I recently watched it on DVD and was amused by how much I liked it better than when it came out. Sometimes that happens for me with films I have not watched in a while. I’ll leave you with one good reason to see this film next month in the theater. Star Wars on the big screen is ALWAYS better than Star Wars on your huge TV. Even if the film is not my favorite, I will see each of them again in the theater. These movies were intended to be seen in the theater, with an audience. It’s a much different experience than you can have with your home theater. Trust me. Next time I’ll re-watch Episode 2 and look long and hard to find a few things I liked about it. I took my kids to see the new WW2 aviation movie from George Lucas – Red Tails this weekend. I’ve been waiting to see this film for years, ever since I first heard Lucas was trying to make it. 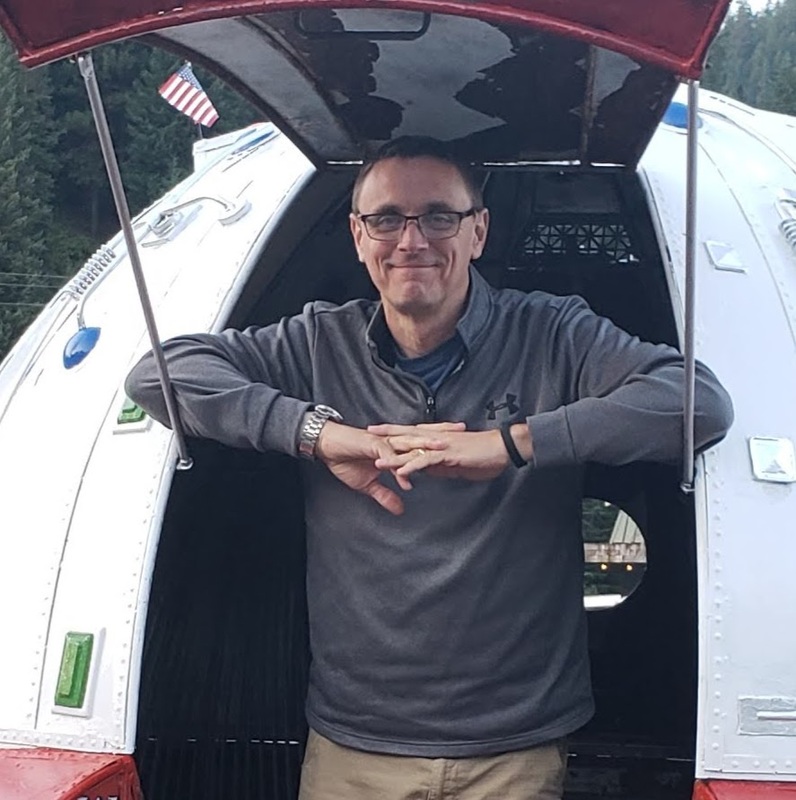 Being an avid aviation buff, I was ready to be wowed by CG airplanes and lots of cool piloting. 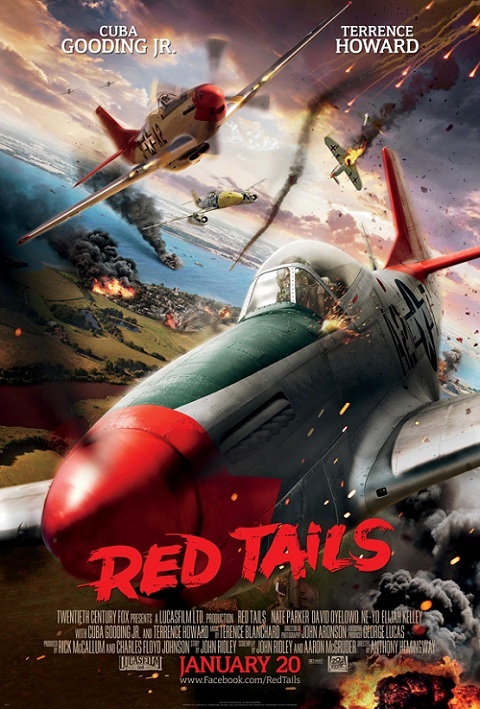 Red Tails is an old school action movie, mild enough for most kids above age ten to watch. The airplane action is a bit faster than it probably was in real life, but still rang true enough for this former pilot not to complain. I loved the WW2 sets and costumes almost as much as the airplanes. The acting is a bit weak at times, but not so horrible that it ruins the movie. I enjoyed this movie more than my kids did, but they certainly liked it. Don’t go looking for some heavy hitting racial equality film because while this obviously deals with racism given the subject, it’s much more of an action film than a drama. I’ve known about the Tuskegee Airmen since I was a kid, because aviation history was one of my favorite subjects. I’m really glad that these men were honored with this film and I hope more kids today watch it so the memory of these pilots lives on. This film will be in my collection as soon as it makes it to Blue-Ray. I intend to watch the airplane dogfights over and over again and dream about someone making a modern film about my other favorite WW2 squadron – the AVG. It looks like Red Tails did pretty good at the box office this weekend. It did $19 Million and came in second place. If you love Sci-Fi you have to check out this imagined trailer for a film version of Greg Bear’s EON on the CG Society web site. I have not read the book, but this makes me want to run right out and buy it so I can read it. Great job on the CG and live action combo! The creators of this trailer defiantly have an eye for film making. Have you ever heard this band from the UK called The Beautiful South? You should. They put a unique spin on cover songs in their album – “Golddiggas, Headnodders & Pholk Songs”. Their off in left field version of “You’re The One That I Want” from Grease is wonderful. I especially like what they did to “Blitzkrieg Pop”. Of course their latest CD is the fantastic “Superbi”. Another of my current favorite bands is of course – Pink Martini. Their rendition of “Brazil” is creepy and cool. Makes me want to see the Terry Gilliam movie again. That one is a must see for any serious student of cinema. Alright, stop it. Just rent the damn film and enjoy it.